Oh man, I remember this mani! Not just because it was so striking but also because I’ve been growing my nails out since this mani – I had three really bad (down to the quick!) breaks on my swatching hand and my fingers just hurt. 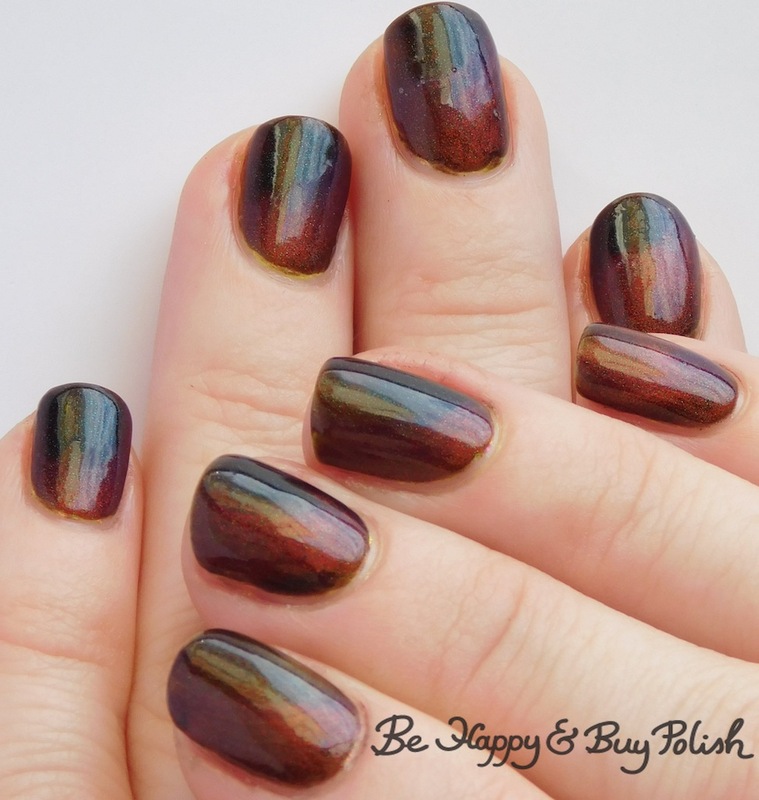 Posted in blog business, Indie Polish, Manicures, Nail Art, Nail Swatches, Press Sample	by Jessica W.
This is like a “kitchen sink” mani – keep throwing stuff at it and see what works. 😛 I’m not sure that the thermal really works under this but I did really love it! Oh my gosh you all, it’s Doctor Who Day! The new Doctor premieres today and I’m so excited and jumping up and down. I’m unsure about a female Doctor but I’m more than willing to see where this newest season takes us. Anyway…I’ve shown you swatches of the newest P.O.P Polishes and yesterday you saw two nail art manicures with a few of those new polishes. 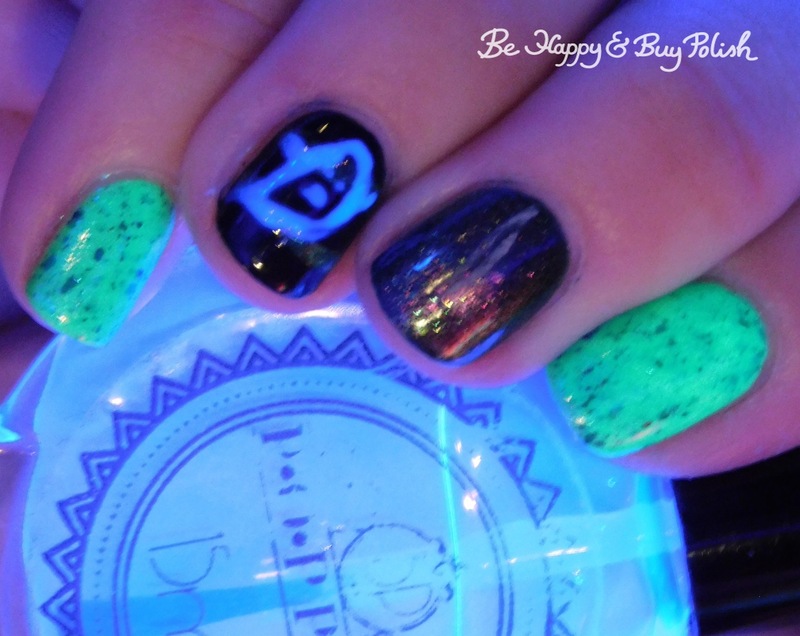 I really wanted to do something interesting with the blacklight reactive top coat from P.O.P Polish besides using it for its intended purpose. I decided to created swirled decals. 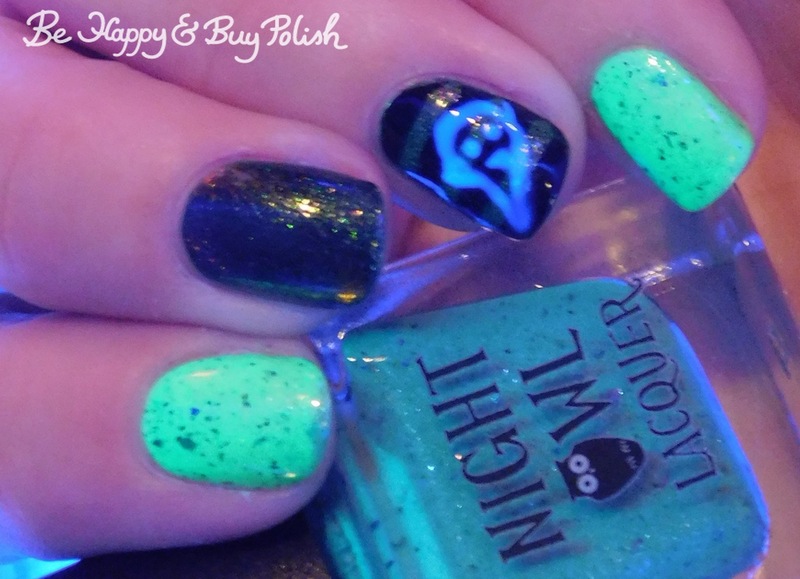 I looked around and found some polishes that looked nice together, which included a magnetic and a mainstream blacklight reactive polish. 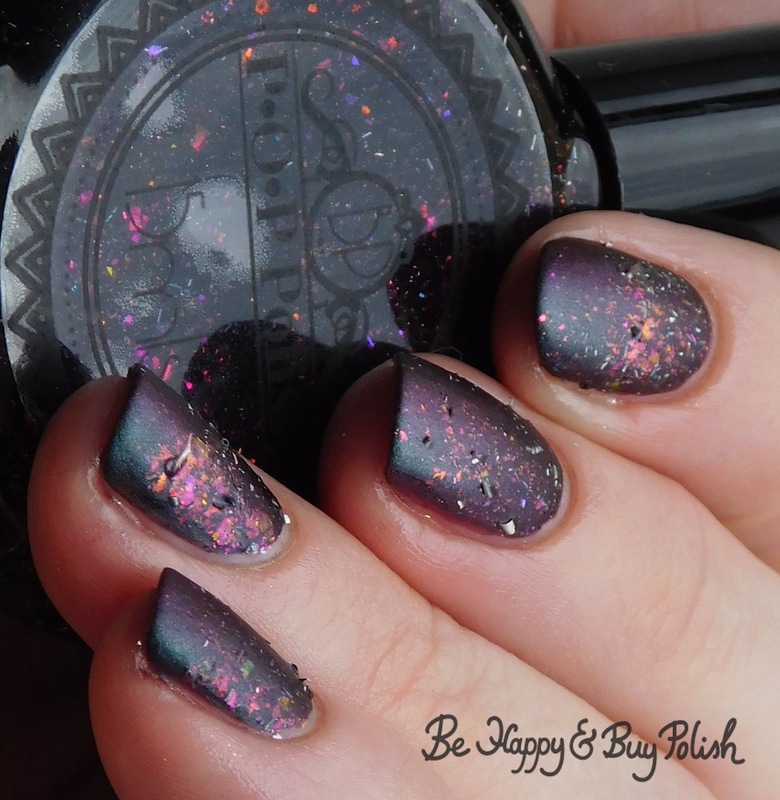 Yesterday I shared with you swatches of the Halloween polishes from P.O.P Polish (launching today!) and right now I’m back with two manicures I created with those polishes. 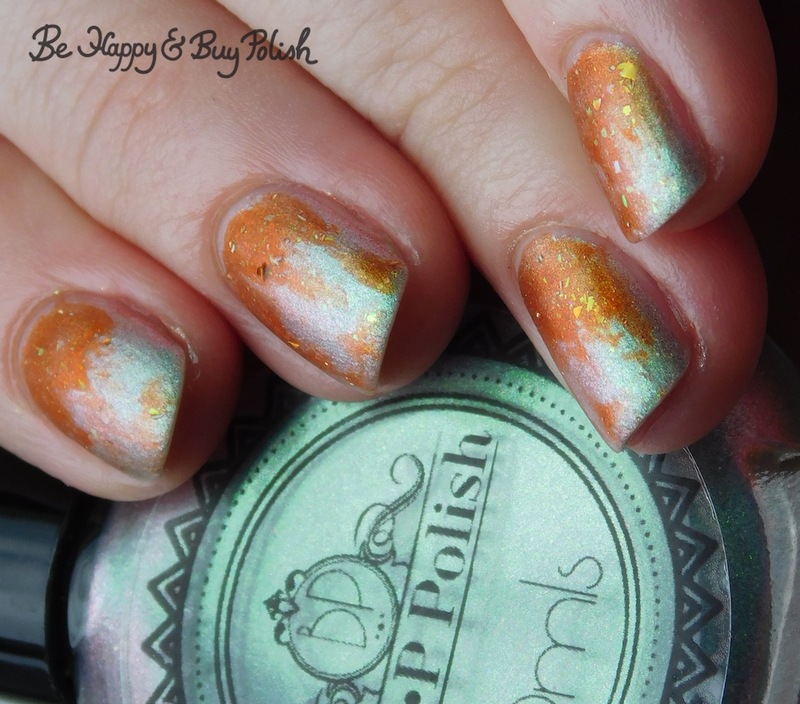 First up is this dry brush/gradient with FrankenSlick and Jack O Lantern. Doesn’t this look like copper that has a patina? 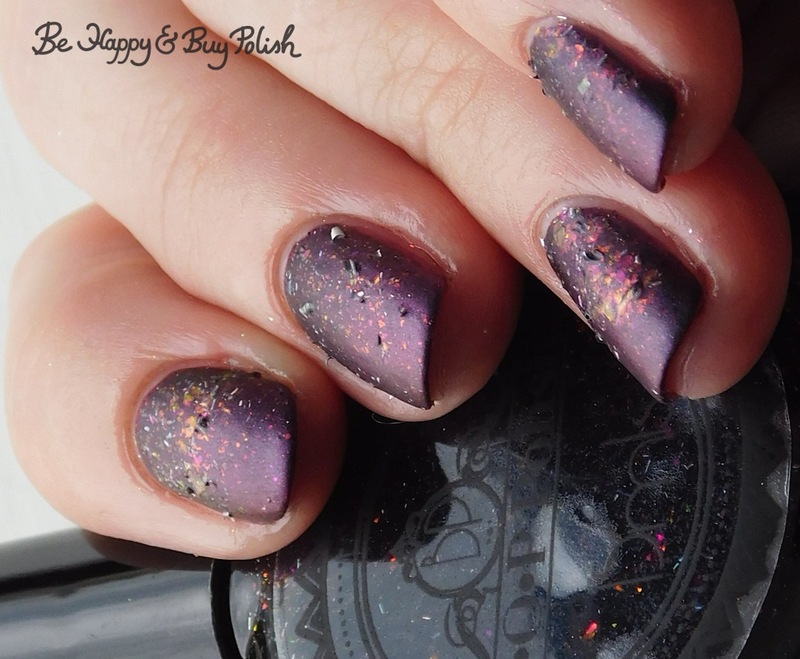 For this mani, I started with a base of Scared Slick and created a sponged gradient with it and Eye of Newt. It turned out incredible! 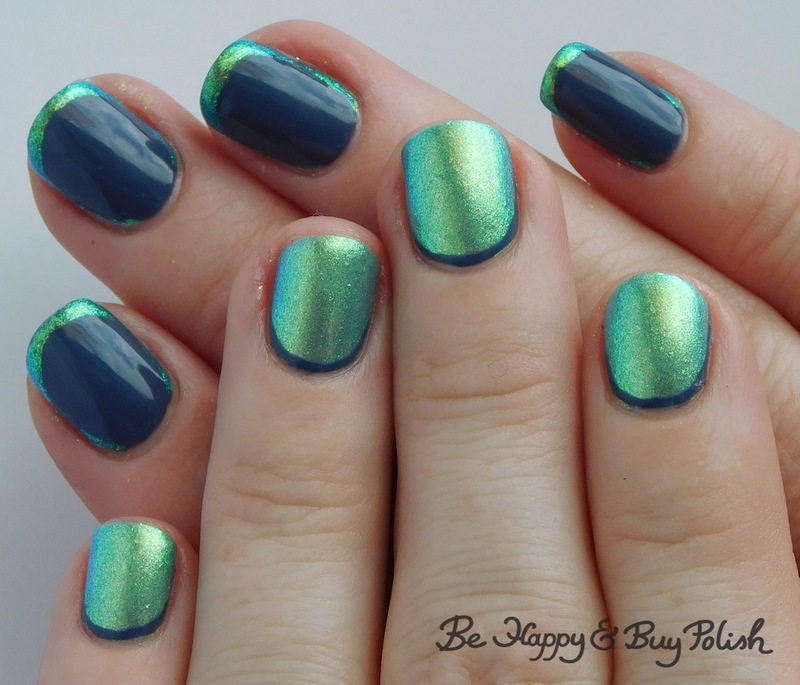 I have one more mani to show you but you will have to wait until tomorrow! 😀 It will be worth it, I promise. 😛 Hint: it has to do with the Radioactive Glass that is blacklight reactive.